Nothing beats that feeling of a fresh cut and colour from your favourite hairdresser. It can banish a bad mood, boost your self-esteem and give you a whole new kind of confidence. But as we all know, just because you love your new colour doesn’t mean that it has to love you back. Colouring can cause damage to your hair due to the chemicals involved. This can lead to breakage and dry, rough, hay-like strands. And need we mention the fading, dullness and regrowth which inevitably comes with colouring your hair. We’ve rounded up the top hair colour problems and solutions to fix them. Breakage is an unfortunate but common side effect of hair colouring. The chemicals in the hair dye can strip the hair’s natural protective layer, leaving it more prone to breakage. To keep hair healthy and free from breakage, limit how often you dye your hair and trim ends regularly. Always choose a quality salon to ensure that the best products are being used to prevent unnecessary damage. Ask if your colourist offers Olaplex. Olaplex is a three step process which works to reconnect bonds in hairs which are broken from bleaching, heat styling and texture treatments. This revolutionary product actively works to fight the damage of colouring whilst it takes place. Likewise, see if your salon stocks Kerastase products which are made specifically for weakened or damaged hair. Not just for unique high fashion colours, fading is a problem experienced by all dyed hair. One minute you’re rocking this vibrant new hue and the next it’s faded so much that you’re not even sure what colour to call it anymore. Take some steps to ensure that your colour sees a long life and is worth the cost. Before dying hair, make sure it is well-hydrated and in a good condition to ensure that the colour sets well. Protect hair from the sun and choose products which are specifically made for coloured hair. Treat hair using Matrix Biolage Colour Care Shine Shake Spray. The product is designed to maintain the colour depth, tone and shine, this spray will leave you with luminous locks that are rich in colour. 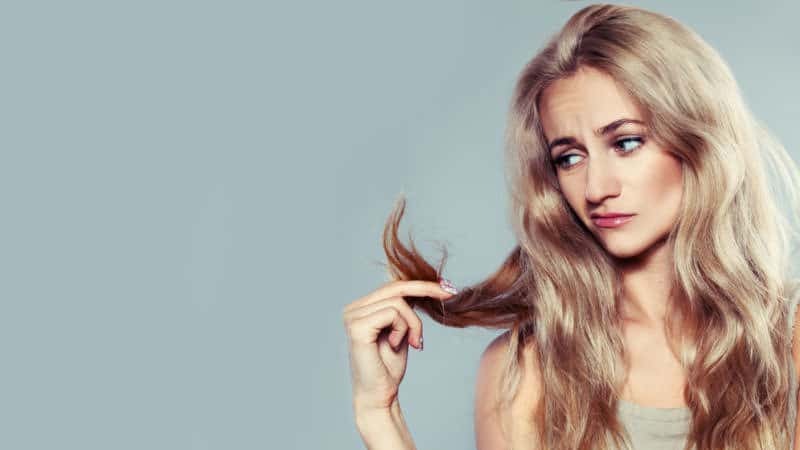 Overexposure to chemicals from colouring can leave hair rough, dry and hay-like, it isn’t a glamorous look. Give your tresses a bit of TLC with some care and moisture. 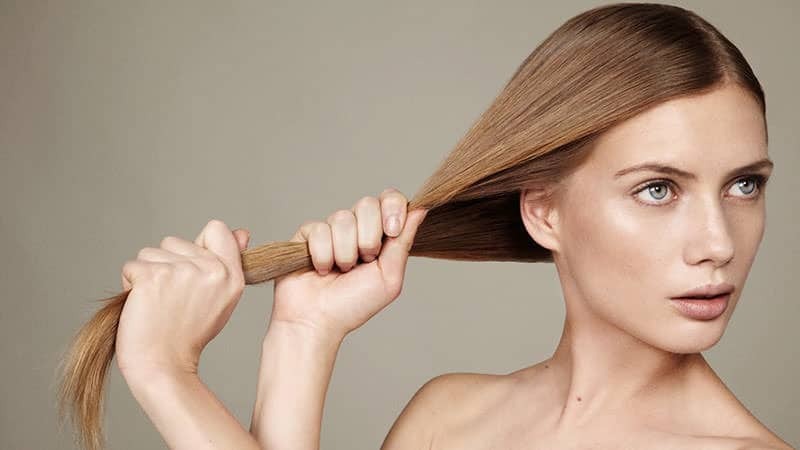 To return your hair to its silky smooth glory, utilise conditioning treatments and avoid blow-drying and heat styling. Use a Bumble and Bumble Colour Minded UV Protective Styling Balm on damp locks to hydrate and give life to your coloured hair whilst protecting it from UV, heat and humidity. To restore seriously damaged hair try Goldwell Dualsenses Rich Repair 60 Second Treatment. Freshly coloured hair is nothing without its glamorous shine. Bring back the shine to coloured hair by fortifying your dull, damaged strands and maintaining your colour. Oribe Beautiful Colour Collection Box is specially created to restore shine whilst preserving your colour. The shampoo, conditioner and split end seal will add a necessary moisture boost to brittle hair and protect your colour from UV rays. If you’re looking for a more budget-friendly way to fight dullness, look no further than Yes to Cucumbers Colour Protection Shampoo. It was designed to enhance coloured hair, and it will leave you with a cleansed, hydrated, high-shine finish. Regrowth is a problem that plagues all of us with coloured hair. Whether you’re a new brunette with blonde regrowth or have gone platinum blonde only to see your dark black roots coming through. Combat regrowth the traditional way with regular touch-up appointments. Book in advance and make sure you keep your appointment to avoid any excuse for embarrassing roots. Between appointments use Color Wow Root Cover Up. This easy to use powder comes in a range of colours and promises to camouflage your roots for the perfect colour every day.